Our Scholars earn college degrees in record numbers. More than 68% earn two or four-year degrees. They credit their successes to the advice of their dedicated mentors, the financial assistance from their Sponsors, and the support from our staff. Read the stories of our alumni in their own words. Darlene, Schenectady High School Class 2012, Siena College Class of 2016. Sponsor-A-Scholar connected Darlene to a summer program during high school and there she learned about accounting, which became her major. While in college, Darlene studied abroad in Senegal and Greece and volunteered with Americorps. In the Spring of 2016, she interned at Marvin and Company, a local accounting firm. Ashley, Troy High School Class of 2006, University at Albany, Bachelor of Arts 2010, University at Albany, Master of Public Health 2012. Ashley was the first in her family to attend and graduate from college. She entered college thinking that she wanted to pursue a career as a doctor, but once she learned about the field of public health, she knew she found her calling. Paul, Albany High School Class of 2003, Siena College Class of 2012. Paul, raised by a single mother who is also blind, was the first college graduate in his family. He works in social services in Albany and serves on the boards of two local non-profits. Fareeza, Schenectady High School Class of 2010, Colgate University Class of 2014. Fareeza was the first in her family to attend college. She is now pursuing her master's degree at Syracuse University, and she works in the admissions office at Colgate University, helping new students acclimate to college life. Miguel, Troy High School Class of 2010, Skidmore College Class of 2014. Miguel was the first in his family to graduate from college. He initially struggled to find other students he could relate to, but thanks to the wide array of academic offerings and clubs, he found people who understood him--including his fiancee, whom he met at Skidmore. He is finishing a master's degree in teaching. "From the academic support and study skills I learned during my time in High School at the Thursday after­-school sessions, to the financial support I was granted by Sponsor-A- Scholar throughout college, I think it’s safe to say that, without this support, I wouldn’t be where I am today." Kolel (left), Albany High School Class of 2012, Rochester Institute of Technology Class of 2016. Kolel and Jarell are twins who were the first in their family to attend (and graduate) from college. Their mentor, Matthew, is a former board member of Sponsor-A-Scholar. Kolel and Jarell participated in many clubs and activites while in college, which helped them to build their networks and find support in college. Jarell (right), Albany High School Class of 2012, Rochester Institute of Technology Class of 2016. "It is tough to quantify how much of an impact Sponsor-A-Scholar has had on me because it feels like it has influenced almost every facet of my life. The program is very well designed—it fights a two-front war on the main obstacles faced by underprivileged youth entering adulthood—finances and confidence." Rushka Kallicharan, Schenectady High School Class of 2012, SUNY Geneseo Class of 2016, pictured with her sister, Anushka Kallicharan, Schenectady High School Class of 2009, Rochester Institute of Technology Class of 2014. "Sponsor-A-Scholar was a true blessing for me. Not because of the financial support they provided me, but because of the incredible emotional support I got from the lifelong connections I've made through the program. I had the opportunity to have wonderful mentors who have stuck with me through this roller coaster of a journey, and I know that they will always be there for me when I need advice, or a listening ear. I feel so lucky to have been a part of such an inspiring program that shows young adults their true potential with hard work, and determination." 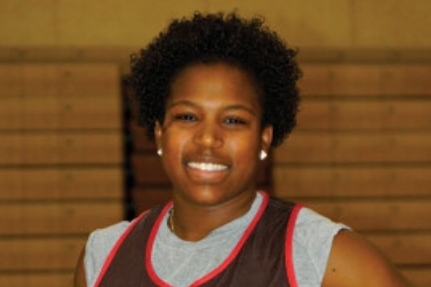 Sheila Dixon, Schenectady High School Class of 2009, Brown University Class of 2013. "Being a part of this program has been such a great privilege. I have been able to see and do so much because of my sponsorship. The many times I have been able to use my sponsorship for living expenses were invaluable. The stipend also helped me just to have a little extra money on hand so that I didn’t have to ask my mom for cash. I am so very fortunate to have been accepted and supported as a student and graduate of the program."